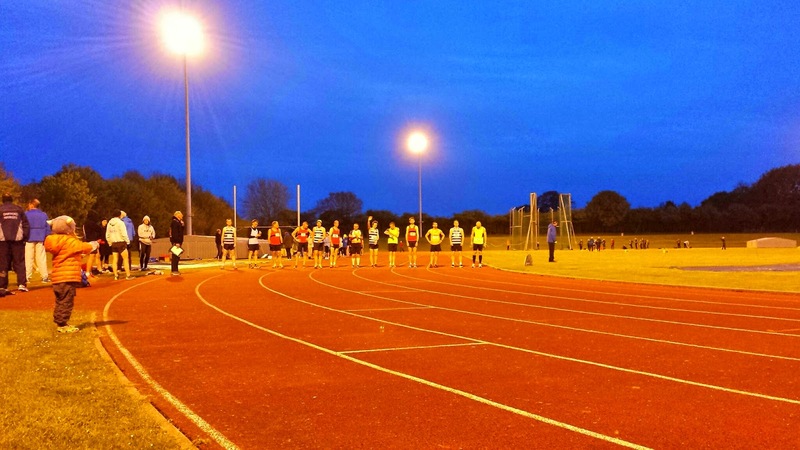 The Southern Counties Veterans Athletics Club (SCVAC) organise a league which consists of track and field events. The 2015 calendar has events roughly every 10-14 days and takes place from May through until July. 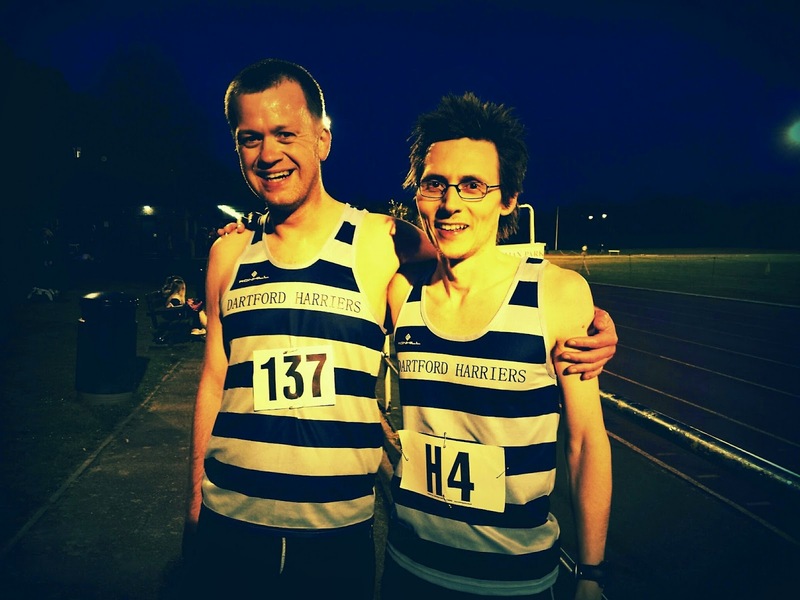 The events are open to veteran runners (35+) who are members of one of the league's clubs and as I have a second claim membership with Dartford Harriers AC I was able to compete. 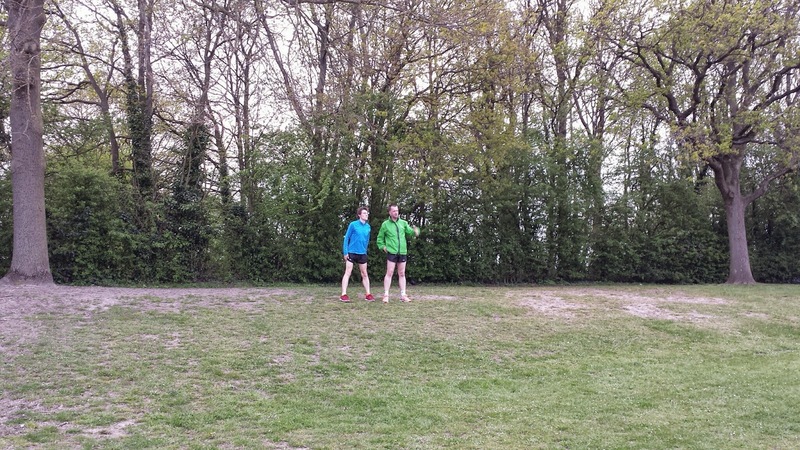 My decision to run was very last minute and after rushing home from work and getting changed, I hit the road with the rest of team7t heading towards Bromley (via Richey's house because I had offered to pick up his forgotten running shoes). The running events on offer at this meet were the 400 metres and the 3000 metres. I met up with the club chairman, Tony and was registered to run both events for the Dartford Harriers B Team (Dartford B) under number H4. The B team are in division 2 of the league. I would be running in the B String. 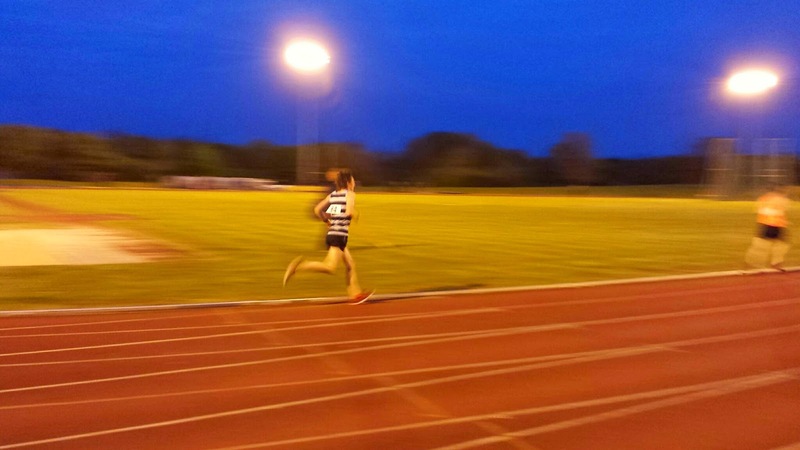 This was my first-ever time running at a track event so some of the terms were alien to me, but it all started to fall into place as the evening went on. The pause seemed to last forever, but then the starting pistol was fired and the race was on. Straight away it was clear that the runner in lane 1 was travelling at a much quicker pace than everyone else and I watched helplessly as he sailed past me by the time we reached the back straight. I kept my pace as strong as possible and managed to finish in second position in an official time of 67.5 seconds. 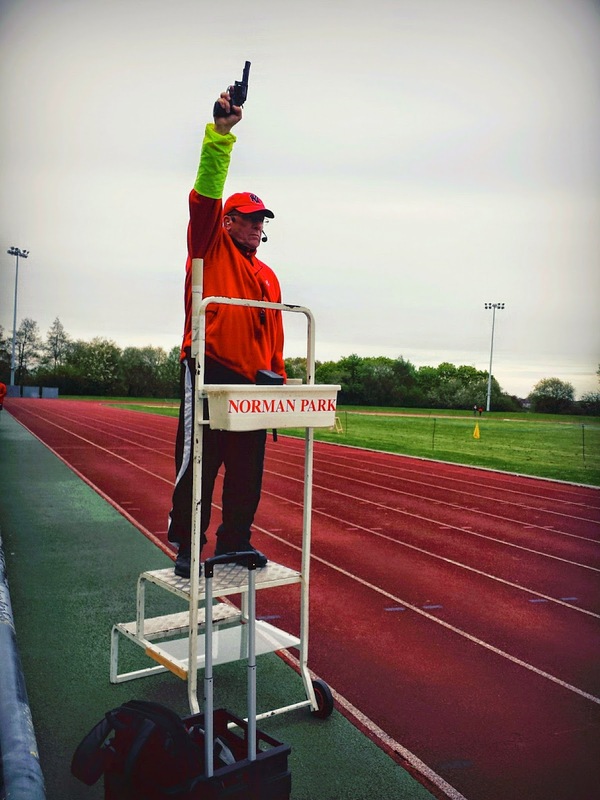 For the record, the 400 metre event really gets to you deep inside your lungs - mine were still feeling that ache a good 30 minutes later, but after a little more rest I started to feel my usual self again. Before I knew it it was almost time to head across to the back straight to the 3000 metre race start line. 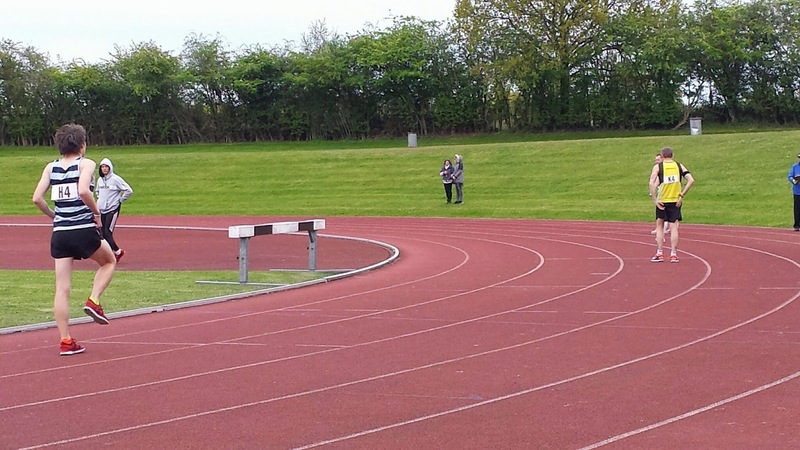 3000m takes place over 7.5 laps - hence the start being on the back straight. The division one runners went out first and when they were done the division two runners were called over to take their places. The race official called out our individual numbers and assigned us spots on the curved 3000m start line. Then the starter gave his orders and we were off. The field went out pretty fast and I got dragged along with them. As this was my first evening racing on track and my first 3000m race it was destined to be a great learning curve for me. According to my Garmin data I ran the first kilometre in around 3.26 - At the moment that is simply not a pace I could sustain for three kilometres. So by the time I was about half-way into the race, I started to feel that I was fading. And there wasn't really anything that I could do about it. I found it extra difficult as there were no other runners around me to latch onto, so I just maintained the best pace I could and hoped it'd produce a half-decent result. One very big bonus was the support coming from the sidelines - Dani was there with Matilda, who screamed her heart out every time I went past, and one of my SLGR team mates, Angela, had also come down to cheer us all on. Thank you. 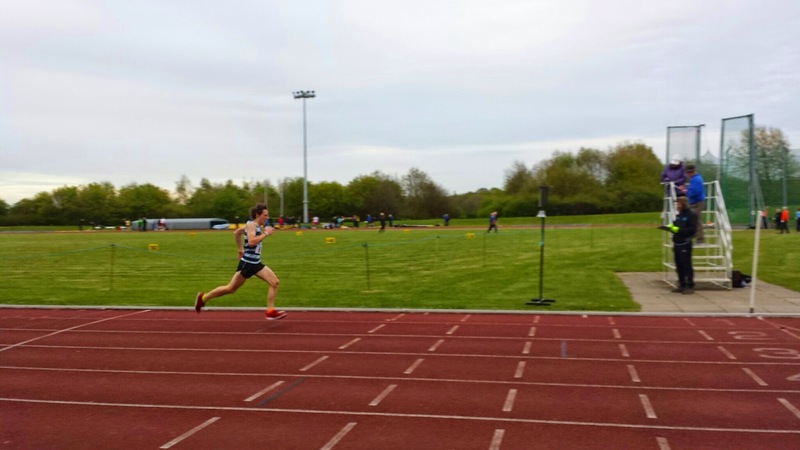 My 3000m finish time was 11.26.8 which was roughly around where I thought I'd be but I could probably have been a touch faster if I had got the pacing right during the first few laps. It's definitely something that I'd like to work on over the next few months, so hopefully I can better that time as the season progresses. The full results for the SCVAC Kent Divisions - Men Division 2 can be found here.